Dami played by Senanu Gbedawo works for the family business and his life is being controlled by his overbearing mother who is constantly calling him and ordering him about on her whims, so much so that his girlfriend Bimbo breaks up with him. Meanwhile him mother seems more impressed with her nephew Tunji played by Tchidi Chikere who has many many girls that he plays. She wants her son to be like this as opposed to serious with one girl. She sends Dami to do business in Abuja with his cousin TJ as a chaperone to make sure that he does not get serious with any girl. The question we must ask is why? 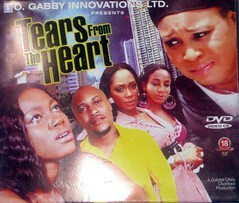 Nollywood Movies Review: 3 friends are expelled from the seminary after sneaking out to see their Idol music sensation Nico, played by Tchidi Chikere. Deemed bad influences and wayward they are advised by the seminary to go back home and enrol in secular universities. The boys do not want to return back home for the shame that they would bring upon their parents. They make the decision to go to Abuja to find Rico to beg him to teach them to be like him. As CJ’s father is rich and they figure that he can fund them so make their way to Abuja to fulfil their dreams. Chike (Sam Dede) and Zizi’s (Tonto Dikeh) marriage is thrown into disarray because of Zizi’s refusal to follow her husband’s orders to not wear make up and what he considers to be provocative clothing. He is fed up of men harassing her because of her looks and dress and thus wants her to downplay her beauty. At first Zizi agrees with her husband’s proposal, but then later reneges on the agreement that they made.